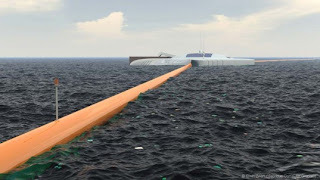 19-year-old Boyan Slat has unveiled plans to create an Ocean Cleanup Array that could remove 7,250,000 tons of plastic waste from the world’s oceans. The device consists of an anchored network of floating booms and processing platforms that could be dispatched to garbage patches around the world. 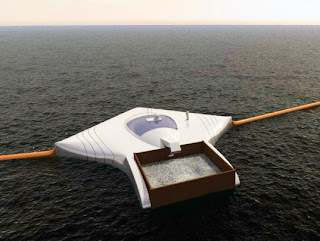 Instead of moving through the ocean, the array would span the radius of a garbage patch, acting as a giant funnel. 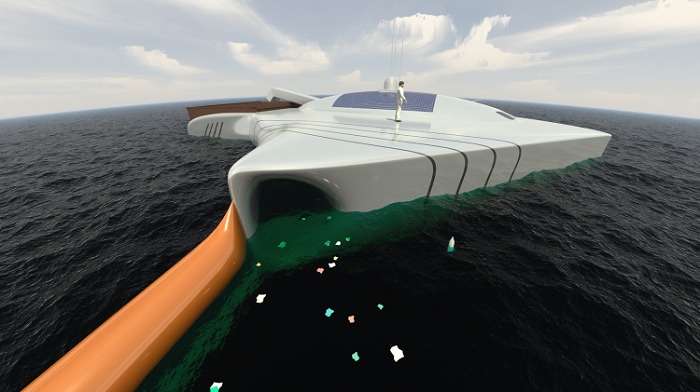 The angle of the booms would force plastic in the direction of the platforms, where it would be separated from plankton, filtered and stored for recycling. 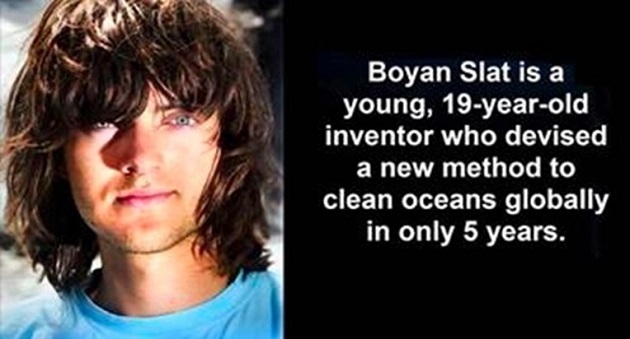 At school, Boyan Slat launched a project that analyzed the size and amount of plastic particles in the ocean’s garbage patches. His final paper went on to win several prizes, including Best Technical Design 2012 at the Delft University of Technology. Boyan continued to develop his concept during the summer of 2012, and he revealed it several months later at TEDxDelft 2012. It is estimated that the clean-up process would take about five years, and it could greatly increase awareness about the world’s plastic garbage patches. On his site Slat says, “One of the problems with preventive work is that there isn’t any imagery of these ‘garbage patches’, because the debris is dispersed over millions of square kilometres. By placing our arrays however, it will accumulate along the booms, making it suddenly possible to actually visualize the oceanic garbage patches. We need to stress the importance of recycling, and reducing our consumption of plastic packaging.